Rather, the IMF was being called into action to address potential new bailout requests from countries hit by falling oil prices, for example, from Azerbaijan, Brazil, Ecuador, Venezuela and Nigeria, which are facing the possibility of oil-led defaults. But a number of eurozone representatives, particularly from Greece, Portugal, Spain and Italy, made the transatlantic journey with considerable trepidation in their cabin bags. Their anxiety was justified. Let’s illustrate why. Finance ministers and central bank governors faced IMF officials who prepared a host of rather uncomfortable questions relating to specific policy issues. These ranged from programme review controversies in Greece, to the possibility of a far-reaching credit rating downgrade in Portugal, the resilience of the banking sector in Italy and sustained political uncertainty in Spain. The present macroeconomic framework is anything but encouraging. 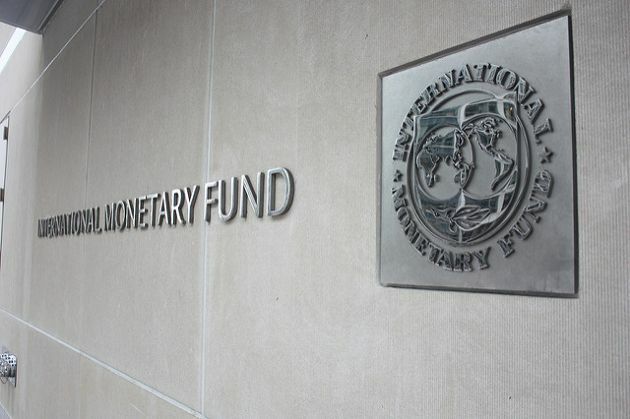 Ahead of the spring meetings, the IMF warned its member states that the headwinds of an economic downturn in emerging markets, in combination with the medium-tern effects of negative policy rates by central banks (for example, the Bank of Japan, Swiss central bank and European Central Bank), will hamper efforts to bolster growth and raise inflation expectations. In consequence, the fund revised its global growth forecast for this year downwards, from 3.4 to 3.2 percent. More specifically, it argued that the eurozone’s mix of low investment capacity, continuous high unemployment rates and weak balance sheets of financial institutions will weigh on economic prospects. The IMF predicts modest GDP growth of 1.5 percent this year and a minor uptick to 1.6 percent in 2017. Against this sober background, the officials visiting Washington from Athens, Lisbon, Madrid and Rome had a host of domestic issues to discuss with the IMF that will have made for uncomfortable negotiation sessions. Top of the to-do list was Greece and the long-delayed conclusion of the first review of the third programme. The controversial issues are well established: pension reform, the treatment of non-performing loans (NPLs) in the banking sector and individual fiscal targets (such as the level of primary surplus to be achieved over time). But the essence of the drawn-out review process boils down to a fundamental lack of trust among the parties involved, persistent doubts about execution willingness in Athens and recurring finger-pointing among the creditor community. Another country making a rather unwanted return to the front pages of the eurozone sovereign debt crisis is Portugal. Trouble is on the horizon in Lisbon. Portugal’s sovereign debt is currently rated below investment grade by three of the four leading international rating agencies (Standard & Poor’s, Moody’s and Fitch). Only the Canada-based DBRS still has Portugal one notch above a junk rating. DBRS’s rating of Portugal is due for review on April 29. The outcome of that review, in particular if it is followed by a downgrade, could have major financial implications for Lisbon and beyond. If DBRS downgrades Portugal below investment grade then the ECB in Frankfurt cannot legally continue to include the sovereign’s bonds in its extended quantitative easing (QE) programme. Portugal would then become the second country in the eurozone, after Greece, to be excluded from ongoing QE operations. Without QE support from the ECB in Frankfurt, Portugal may again have to seek financial assistance from the international creditor community, only two years after exiting its rescue programme. Such a prospect, speculative as it may appear at present, does not make for smooth “what if” consultations behind closed doors in Washington during the spring meetings. The case concerning Spain is primarily political and electoral. After the inconclusive outcome of elections in December 2015, the different parties represented in the Cortes have not been able to form a new governing coalition. The acting prime minister, Mariano Rajoy, declined the king’s mandate to form a new government. Meanwhile the high-stakes negotiations of various opposition parties have come to naught during the past five months. Time is now running out in Spain. If the Cortes fails to elect a new prime minister by May 2, then the king will have to use his constitutional prerogatives to dissolve parliament and call fresh elections. A return to the polls in Spain means protracted political uncertainty in the eurozone’s fourth-largest economy, which will be reflected primarily in rising yields for Spanish bond issuance. Last but not least, Italy is among the “Club Med” delegation to the spring meetings. In many respects, it is the eurozone’s elephant in the room in Washington. For years Italy’s largest banks (UniCredit, Banca Monte dei Paschi di Siena and Intesa Sanpaolo) have been confronted with contingency risks in the sector. On numerous occasions they have had to contribute to government-led interventions in order to rescue smaller financial institutions. The latest case concerns a combination of private lenders, charitable trusts (so-called Fondazioni) and the state-owned bank Cassa Depositi e Prestiti sharing the burden of a capital increase in order to finance the bailout of the regional Banca Populare di Vicenza (BPV). The European Commission is monitoring if the public–private bailout pact complies with state aid regulations. At the same time, the ECB, as the single supervisory authority, is observing the capital requirements of all participating banks. The Achilles heel of Italian banks are their rising NPLs. Exposure to NPLs on lenders’ balance sheets amounts over a fifth of the total loan portfolio. Because the ownership structure of many Italian banks is based on foundations that control the parent company, once a lender runs into major balance sheet problems, the Fondazioni are not in a position to contribute on their own to the necessary rescue operation. Third-party intervention, as illustrated by the recent BPV case, is increasingly becoming the default option, short of closing the institution. As the climate for regional Italian banks worsens, the government of Prime Minister Matteo Renzi has had to register a growing list of institutions in need of wholesale restructuring. The authorities in Rome are imposing losses on bond investors and shareholders while simultaneously calling on larger lenders to contribute to individual rescue operations. But this modus operandi only reinforces domestic market volatility, as illustrated by the dramatic decline of share prices of UniCredit, Intesa Sanpaolo and others, which are called upon to financially support bailouts. The agenda for finance ministers and central bank governors from Greece, Portugal, Spain and Italy attending the IMF spring meetings was laden with domestic policy challenges and uncomfortable inquiries. The potential implications go beyond country-specific conditions and solutions. The political economy outlook for “Club Med” countries in the eurozone is back on the agenda, albeit with hardly any light at the end of the tunnel. *This article first appeared in last week's e-newsletter, which is available to subscribers. More information on subscriptions can be found here. The biggest misconception about the IMF is that it's US controlled. It's not. To have control of an entity you need 50% voting rights + one. The US only has 16.73% voting control. If Japan, China, Germany, France, UK and Italy banded together they could easily overrule US IMF actions. The IMF is a free trade anachronism and completely irrelevant in the Greek case. Its participation in the Quadriga was a German idea for punishment and pure terror.